Lvl priority for Batman: Forearm Strike is your top damage ability. Play: Batman is stealth AoV assassin best suited for objective control like Abyssal Drake and towers. Ganks should be as often and on point, because Batman has no real disengage options. Your targets are either overextended marksman or low targets in team fights. Combine Batarang to mark multiple targets and Forearm Strike to activate those marks and effectively stun them. When Batman approaches an enemy hero, his movement speed increases by 20%. This ability has range roughly 1100. This makes Batmen excellent for chasing down enemy heroes. Batman attacks with his forearm blades and deals 215/260/305/350/396/440 (+85% of AD)physical damage to nearby enemies. One random enemy will take double damage. -It has a slightly larger radius than a basic attack. -Ensure a double attack on target by careful positioning. Batman launches an explosive Batarang that deals 165/186/207/228/249/270 (+57% of AD) physical damage to enemies and reduces their movement speed. 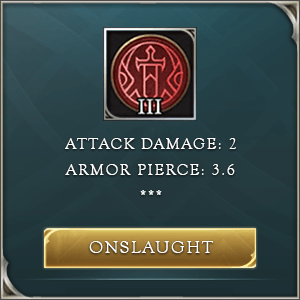 The target will receive additional physical damage equal to 24% of their lost HP after 3 seconds. Enemies hit are stunned if attacked by Batman again, and Batman restores 140/168/196/224/252/280 (+50% of AD) HP. -Can hit multiple targets, so position your self to exploit this fact. -Forearm Strike can activate multiple Batarang-marked targets and all of them will be stunned. Batman conceals himself behind a colony of bats and becomes invisible after 1.5 seconds. Invisibility lasts for 30 seconds unless Batman stays within 6 units of an enemy hero for more than 3 seconds. If the ability is used again during invisibility, he will fly towards the target direction, dealing 660/830/1000 (+188% of AD) Physical damage to enemies in his path. Cannot be selected during flight if this ability is activated again while invisible. He gains a 50% attack speed for 5 seconds after coming out of invisibility. -50% attack speed can be really useful when taking down map objectives. -Good skirmisher. Batman's damage increased movement speed from Caped Crusader passive and control provided by Batarang, all adds up to a very good combination of skills for decent ganks and skirmishes in general. -Objective control and clear speed of jungle camps. Forearm Strike dealing double damage on a random target in range, coupled with sustain from Batarang after effect enables fast takedowns and good sustain. -Stealth. Having a stealth assassin roaming the map puts a lot of pressure on the enemy team. -No escape options. Batman's skill set is about diving and dealing damage. There is no disengage tool in your skillset. -Enemies are warned when you are approaching with eyes above their head. This activates in a large radius and it is a good signal you will appear in a few seconds. AoV Batman Leveling skills: Prioritize Forearm Strike, this is your main damage source when jungling. Take ultimate whenever you can. Laning in Arena of Valor as Batman: AoV Batman is played in the jungle and has a lot more potential in that role than he would in any other lane. Start the normal route (blue to red) and once you reach level 4 you should start ganking. Start by going into stealth while you are still approaching the lane. Once in stealth enter the lane from behind the enemy and before they have time to react use Batarang to hit as many of them as you can. If you manage to hit multiple targets, use Forearm Strike but try to reach all those with Batarang debuff, if you cant, focus on the primary target (usually carry). Save damage part of the ultimate for either escape or finishing an opponent off. With Soulreaver completed and level 4 to 6 you can already easily solo Abyssal Drake, you should do this whenever you feel enemies have their hands full. Arena of Valor Team Fights as Batman: Later in the game, and when team fights are a must, Batman's task is first and foremost to build up tension in the enemy team. Try to stay out of their vision even outside stealth. Enter the fight once your team starts to engage or is engaged upon, try to single out squishy heroes and land Batarang-Forearm Strike combo on as many enemies as possible. This will provide some nice damage and stun on multiple members. Immediately after you do this, reposition yourself in such a way that safety is your priority. Be extremely careful when casting the damage part of Dark Knight, because you don't want to land in the middle of an enemy team.